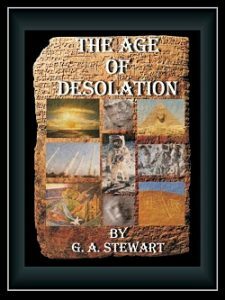 The Age of Desolation came out in November 2010, just before The Arab Spring. 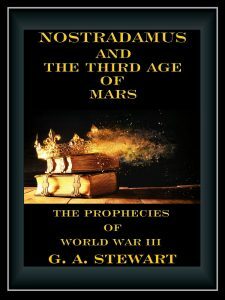 I was expecting World War III in 2011, because I had solved the code for Nostradamus’ dated prophecies. 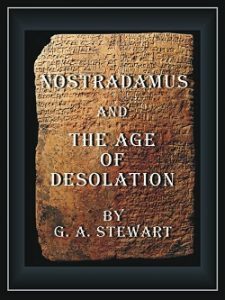 I am going to mix material from my books, Nostradamus and The Age of Desolation, Nostradamus and the Third Age of Mars, and this Website. If you read UrbanSurvival.Com last week, George Ure published an Email I had written him with my concerns regarding the situation in Ukraine. All I can say is that 2019 is a month a way. Since the 2016 election, I have been warning readers that the Spring of 2019 looks grim from my Nostradamus point-of-view. 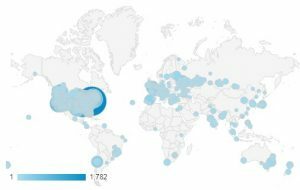 Every day, roughly 75% of you that come here are New Readers. I will save you the expense of buying the books, and the labor of trudging through my Posts on this Website trying to put what I am selling all together. I discovered a dating code throughout Nostradamus’ prophecies, in The Quatrains, The Presages, and The Sixains. Two-thirds of them have passed, and readers are free to accept my translations and interpretations. They are all over this Website. Remember, my first manuscript came out in 2007. Most of these predictions have been on this Website since 2008. 1) The Pagan Sect of New Infidels: The Illuminati Governments. 2) The Black King: Barack Obama (Solved by Anagram). Nostradamus’ Third Antichrist. 3) The Great Scandal: The revealing of The Pagan Sect of New Infidels. 4) The Muslim Invasion of Europe: A Soft-Invasion allowed by The Pagan Sect of New Infidels. There are three Code Key Dates, and I find it interesting that all of them lead to predictions that span from 1990 to 2075; with most of them centered between 2010 and 2038. For The 1500 Series of Prophecies, you add the Code Key: 410 CE – It is the year that Rome was sacked by the Visigoths. For The 1600 Series of Prophecies, you add the Code Key: 405 CE – It is the year that the Latin Bible The Vulgate was published. For The 1700 Series of Prophecies, you add the Code Key: 311 CE – It is the year Rome enacted The Edict of Christian Toleration. 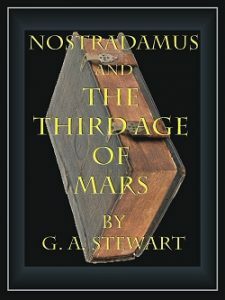 This dating code that Nostradamus used throughout The Quatrains, The Presages, and The Sixains is the connecting link to his work. Nearly subjugating a corner of Aquilon [NATO]. Conflict, mort, pte; à la croix grand opprobre. This is another 1700 Series prophecy and the Code Key year to add is 311 CE. That makes it 2038 CE. There is no clearer Nostradamus Quatrain than VIII-77 that states there would be three antichrists after his death. When we see the subjects in poems ambiguously referred to as “The Third One” or “The Third”, this Quatrain gives Nostradamus’ readers a solid reference and key. Nostradamus is clearly describing his “Third Antichrist”. Do note the repeated use of water and flooding in conjunction with warfare in The Quatrains, The Presages, and The Sixains. Consider Russia’s new underwater nuclear weapon written about on this Website. One thousand six hundred and seven [1607-2012] years from the Liturgy. For Quatrain VI-54, when you apply the 1600 Series code key of 405 CE to 1607, this date becomes 2012 CE. The third and last Antichrist will be the infernal prince. [Because of his war] all the Kingdoms of Christianity, and even of the Islamic people, will tremble for the space of twenty-five years. Quatrain VIII-77 exactly matches the number of years spanning the [1700-2011] code date in Quatrain I-49 and the code date [1727-2038] in Quatrain III-77. This is certainly more than coincidence. Nostradamus stated in Quatrain VIII-77, “twenty-seven years of blood will his war last”. I believe that Nostradamus is giving readers the exact number of years that World War III will last from start to finish in both Quatrains. In The Epistle to Henry, he is giving the exact number of years that Barack Obama participates. The missing two years suggests Barack Obama’s absence as Commander in Chief will last until the year 2019. As you will read, Nostradamus uses the phrase, “After The Black King’s sojourn”. In several Quatrains, he returns to “rescue” Europe. Donald J. Trump did not order NATO to invade Libya, or for America’s intelligence service to begin The Arab Spring, or to assist in the Ukrainian coup d’état and the overthrow of an elected government; Donald J. Trump will, however, be blamed for starting a nuclear war. Three Quatrains are consistent, so the two-year discrepancy in The Epistle to Henry appears intentional. Donald J. Trump will be facing some tough times by 2019. Those are the main world events against the back drop of similar Nostradamus’ interpretations I began posting in 2007. With the evidence given by President Donald J. Trump’s former attorney, Michael Cohen, President Donald J. Trump could be indicted very quickly. If you read that Email I sent to George Ure, I said that a Secrets Dump will probably be President Donald J. Trumps last desperate act. This is in play now with the threats I cited above. You can bet Trump knew this was coming. Q is real, but it may be Q too few and too late. However, there is a darker side to Q that very few ANONS and fans are considering. I suspect Operation Q has been in play a longtime. President Donald J. Trump may only be playing a part that has been written for him, and he himself may believe it. In today’s political climate, after 8 years of Obama’s Presidency, who can trust anybody. Certainly The Clinton Foundation and Uranium One Whistleblower should not have trusted a soul. The FBI just finished breaking down his front door, and President Trump’s former attorney just copped a plea. For readers already familiar with my material, there is a double-cross involving Nostradamus’ Second Thrasybulus. This analog to the Athenian General who was a beneficial historical character in restoring Athenian Democracy bodes well for Nostradamus’ Common Person on the Street. Here is the Nostradamus twist, for those dates that I have provided, and that I provide in the Sixain below, there is a lot of slop in the exact interpretation. 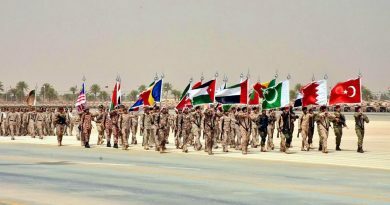 Did World War III start in 2011? 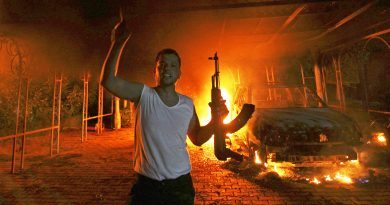 It did for Libyans. 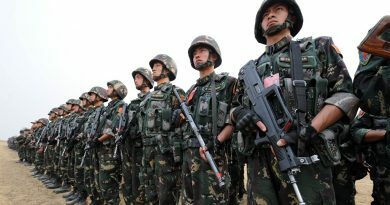 Did World War III start in 2012? It did for people in North Africa and Syria. 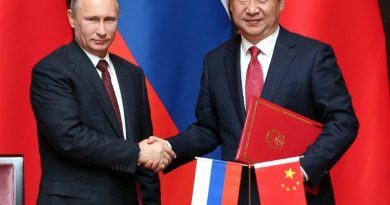 Did World War III start in 2014? It did for people in Eastern Ukraine. Nostradamus actually provides both years that Iraq was invaded, but it is only in the post-event analysis that most Nostradamus Commentators, including myself, generally apply an interpretation to an event. And Nostradamus’ poetic imagery is another issue entirely. 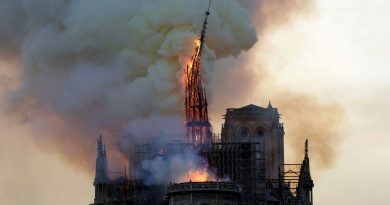 That is why Nostradamus is a tough sell, and why churches are failing throughout the West, people cannot connect to the spiritual imagery and metaphors. But do note below, that Sixain XXVIII mentions three years, 2011, 2014, and 2019. Most Nostradamus Commentators do not accept that The Sixains are the work of Nostradamus. I find it interesting that the dates align with dates from The Quatrains and The Presages. The most important I have cited above. Putting that together, that “he” was Nostradamus, and in 2011, “in writing he will place it”; that “it” is World War III. In Quatrain I-49 we take the date 2011, and then link it to Quatrain III-77, “The third climate comprising Aries [World War III]”. And do note, the reader must make the 27-year bridge to 2038 in Quatrain III, and then make another bridge to the 27-year War of the Third Antichrist in Quatrain VIII-77, another Quatrain numbering coincidence. Following that, you can compare it to the line “Third Age of Mars the warlike [World War III]” found in Sixain XXVII below along with lasers and space based warfare. Aage Eƒcarboucle, & à la fin famine. Worms half dead without finding a root. The age of the carbuncle [Laser] and in the end famine. This Sixain is missing from Vincent Seve’s 1605 list of Sixains for Henri IV. “Fires shining from the Carbuncles” is a reference to laser weaponry. Interestingly enough, a carbuncle is anyone of the scarlet and crimson varieties of garnet where the stone is cut with a convex face. There is an ancient legend that Noah used such stones to illuminate the ark. And he doeth great wonders, so that he maketh fire come down from heaven on the earth in sight of men. The Directed Energy Weapons and Earthquake Weapons that are used in World War III are in material I covered 11 years ago. Here is the most recent link to that material. This is why I have begun my new Website, G. A. Stewart’s Metaphysics. Those links are in my Post below. I think Russia just sent a message via Anchorage, Alaska to President Donald J. Trump. Here is my assessment. 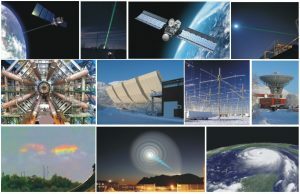 On November 27th, 2018, Russia purposely conducted a highly visible public test of a plasma weapon. 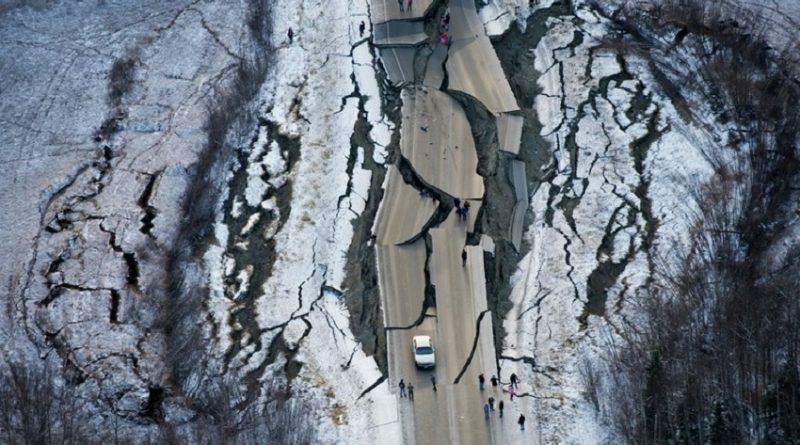 Now look at the road in Alaska. It seems a little too round and more like an impact crater. What if you had a space based platform that could deliver targeted pulses to the network of roads that connect the United States. Maybe Russia wants Alaska back. Hopefully, readers can appreciate the dating code and the slop involved in pinning down an exact interpretation. One date in particular that concerns me is December 6th or December 19th. Depending of the Christian church, St. Nicholas Day is celebrated on either day. The Quatrain below, I have placed shortly after the opening of direct conflict between NATO and Russia. In fact, it may even occur after an event that I call The False Peace. I will return to that in my conclusions to this Post. Help from Cadiz (Spain) and the great Philip. I am expecting an attack on the Vatican or the Papacy by an Albanian Terrorist group. The event in Quatrain IX-30 I am expecting a little further down the road. But this December 6th or December 19th may hold clues to what is further down that road. Why is that? It is because that just seems to be the ritual Nostradamus’ Pagan Sect of New Infidels follow. They will always telegraph clues. I will be following this idea up in an upcoming Post on my G. A. Stewart’s Metaphysics Website; however, it basically means that The Spirit of Truth can never be denied, it is the foundation and operating system of the Universe. But it can be diverted, blocked, and perverted. Those are the conjuring tricks that The Pagan Sect employs to gather spiritual slaves. Remember, Mortality is not the only Reality. They have no real power over people. That is the main message of Christianity and the Resurrection of Jesus Christ. If a large scale war does begin in Ukraine, and then a European cease-fire is quickly negotiated, I would say that this period would begin The False Peace. This is the period of Nostradamus’ Third Antichrist, and that would be the same Antichrist that we recognize in the Book of Revelation. If you think Deplorable Conservative Trump Supporters are being marginalized and attacked now, wait until you see what is coming. Unfortunately, most people have no sense of history. You had better be spooled up by then, because that is when the Internet goes away. One last note, war in Ukraine comes with a pretty nasty set of Nostradamus’ Triplicate Quatrains involving a war in Ukraine and Poland, also found in Century III.